The best motivation to accomplish an activity, errand, or chore is to have someone do it with you. I am social by nature and I love experiencing new things, or even doing the same thing, in the company of another person. I find it much more difficult to adventure out to new experiences on my own. I enjoy companionship, and I’m pretty sure I’m not alone. As we age, it becomes more difficult to get out of the house and maintain activities you enjoy, it is even more overwhelming to try new activities or new experiences. The right person can become the support needed for you or your loved one to maintain an active lifestyle. Companion care may be just the solution for you. Companion care provides an experience and trained caregiver to your home, or wherever you call home. This caregiver offers the power of presence, accompanies seniors on errands, encourages new experiences and activities, and provides the support of another person. If you find yourself avoiding activities because you don’t want to to be out on your own, or you are feeling lonely at times throughout your week, our companion care is the answer. One of the benefits of finding the right care companion is the added accountability of having someone push you to experience new things and remain active. It is all too easy to become comfortable with your routine, but challenging yourself to new activities is important for your physical and mental health. Consider picking up a new hobby, playing new games, or planning a trip to a new travel destination. 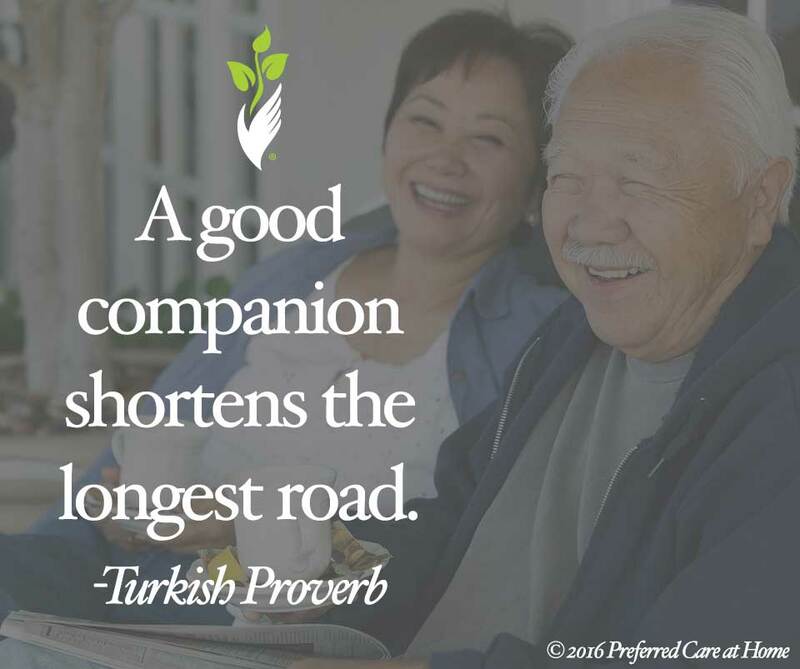 Learn more about companion care by visiting our service page. There are locations across the nation that offer quality senior care services at affordable prices.